I have been through some interesting border crossings, and one of the most interesting ones I had was in Nicosia, the capital of the Republic of Cyprus. Border crossing? In a capital? 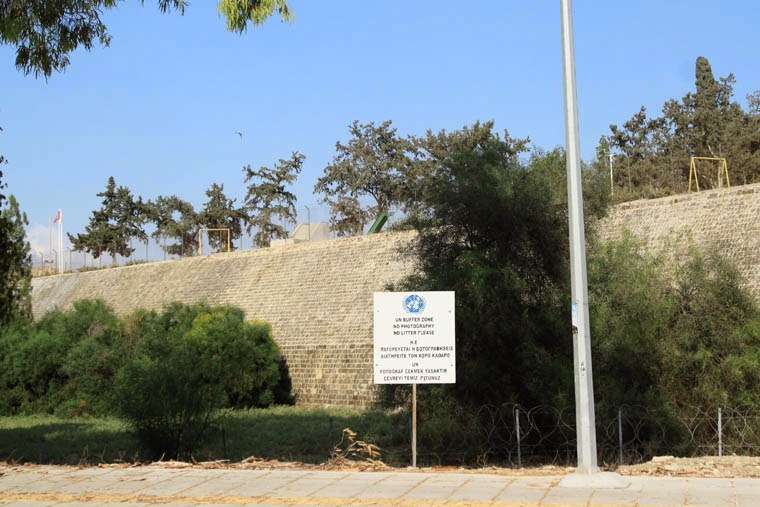 Well, in 1974, Turkish forces invaded the north portion of the island of Cyprus, and as a result, as much as 40% of the island came under Turkish control. A ceasefire line was then established, and this demilitarised zone became the United Nations Buffer Zone, more commonly known as the Green Line. 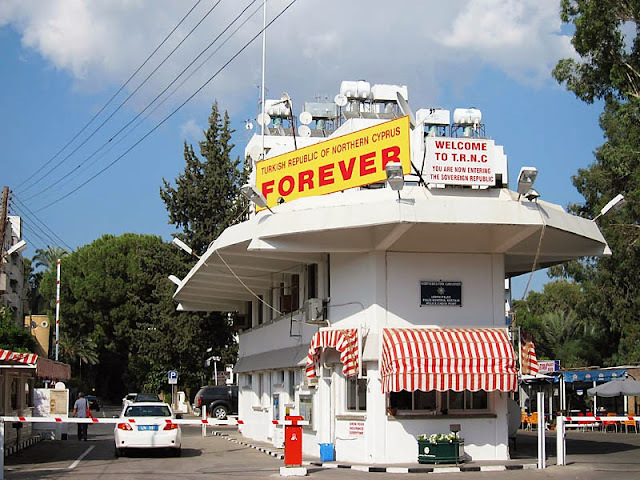 The northern part went on to declare itself independent, and became what is known as the Turkish Republic of Northern Cyprus (TRNC), though it is only recognised by Turkey. Amazingly, this Green Line cuts through the capital city, and equally amazingly, the border crossing is situated within the old walled city in its main shopping street!! 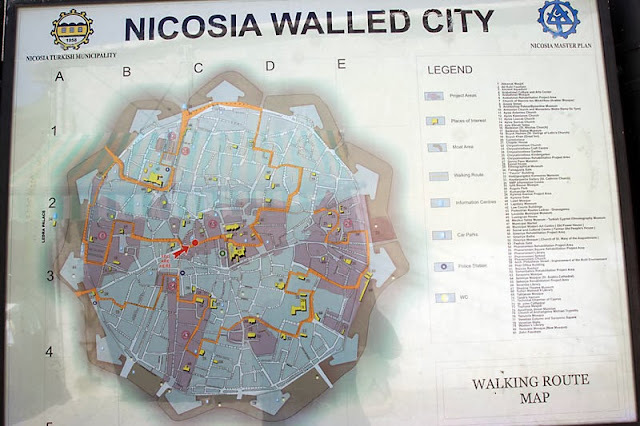 Luckily, the old walled city separation was equal, and Nicosia became known as the last divided capital. 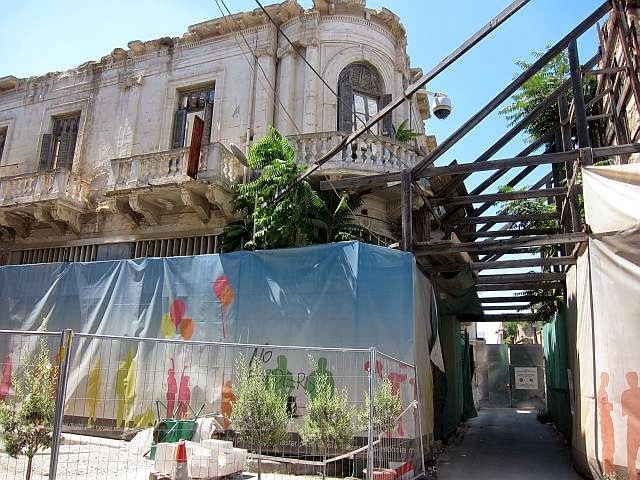 Imagine walking along a shopping street known as Ledra street. 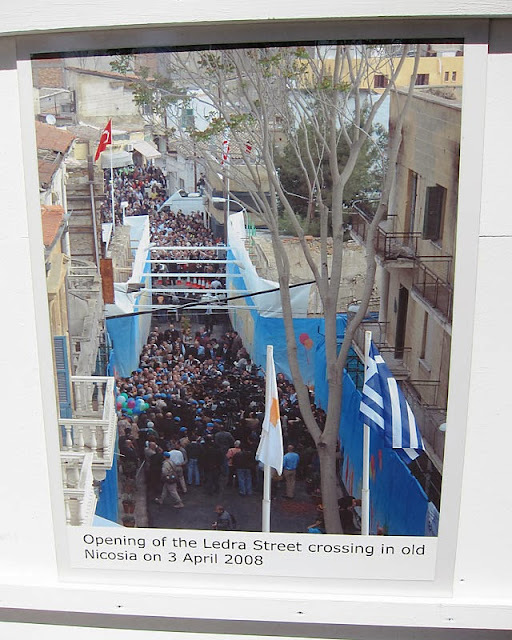 Then the street abruptly ends at some sort of a junction (I was on the TRNC side and I remember there were some clothes on a rack on display) and right in front is the border controls. Border formality is simple enough, with a simple paper "visa" issued and stamped. Then you walk into a block of "alleyway" that is within the Green Line. When I was there, there was small a photo exhibition within it, surrounded by crumbling building facade! When you reach the other end of the border control, the shopping street then continues (but of course, in another "country")! Known as Lefkosia by the Greeks, the capital city itself is quite interesting, with contrasting architectures and lifestyles. The Republic of Cyprus is part of the EU and uses the euro, while TRNC uses the Turkish lira. So things are markedly cheaper on the Turkish side and I usually try to have my meals on the Turkish side :). Attractions are mainly the usual city stuff of museums, churches etc, so grab your favourite guidebook for that. And then, there is *another* border crossing, just outside the walled city. And no less bizarre. This border crossing is actually within a hotel premises!! So for the curious, one should walk out of the walled city and do this crossing as well. Getting in, there are flights to Larnaca in the south, from various European cities but they seemed quite expensive. Most would visit via ferry or cruise ships from Greece, but I flew into TRNC instead. Flights into TRNC are only available from Turkey, but I was in Turkey prior, and the flights are cheap, so it worked out well. For those who are into quirky border crossings, you have to check out the last divided capital!